Dr. Michael Gibson’s teaching history is founded in biochemistry, genetics and health sciences. He has taught a variety of topics directly related to health sciences throughout his professional career. A selection of his previous courses includes “Human Inborn Errors of Metabolism” and “Biochemical and Molecular Genetics” at Baylor University, and “Molecular Mechanisms of Disease” and the Department of Molecular and Medical Genetics Seminar Series at Oregon Health & Science University. Gibson has given several guest lectures for “Principles of Molecular Medicine” at the University of Pittsburgh’s Graduate School of Public Health, as well as numerous other lectures to audiences of neonatology residents and fellows, medical students, lab medicine faculty, neurology fellows and interns, neuroscience graduate students, and pathology faculty, residents and interns. As Chair of Biological Sciences at Michigan Technological University, Gibson taught biochemistry to undergraduates and graduate students, and a broad course in health to undergraduates. He has served as mentor or research advisor for Ph.D. candidates at Southern Methodist University, Baylor University, Potchefstroom University (South Africa), and San Diego State University. He has also trained six fellows in biochemical genetics throughout his career. 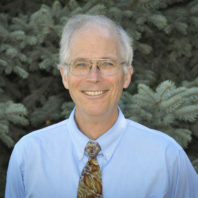 Gibson is a board-certified clinical biochemical geneticist, and has studied a number of Mendelian disorders of metabolism for the better part of 30 years. His research focus includes understanding the pathophysiology of selected disorders, and developing novel pre-clinical treatment approaches with translational relevance. His laboratory employs pharmacological, cellular and dietary treatment approaches in disorders such as succinic semialdehyde dehydrogenase deficiency, phenylketonuria, maple syrup urine disease, galactosemia and transaldolase deficiency, a defect of the pentose phosphate pathway. His training is in protein chemistry, molecular and neurobiology, neuropharmacology and genetics, and various analytical methodologies. His laboratory is actively interested in hepatic biology and novel approaches to liver regeneration. Gibson is the chair of the Medical and Scientific Advisory Board of the SSADH Association, which represents children and families affected by Succinic Semialdehyde Dehydrogenase Deficiency (SSADH). Much of his research is focused on this disease. Gibson joined the Washington State University College of Pharmacy in July 2012. He had been chair of the biological sciences department at Michigan Technology University in Houghton, Mich. Gibson is a past professor at the University of Pittsburgh School of Medicine and the Oregon Health & Science University in Portland. 2004– Komrower Memorial Lecturer, Annual Meeting, Society for the Study of Inborn Errors of Metabolism, Amsterdam. 2008 NIH Site Visit, PDEGEN (Program in Developmental Endocrinology/Genetics), March 26-28. Schreiber JM, Pearl PL, Dustin I, Wiggs E, Barrios E, Wassermann EM, Gibson KM, Theodore WH. Biomarkers in a taurine trial for succinic semialdehyde dehydrogenase deficiency. JIMD Rep., in press. Koenig MK, Bonnen P, Hodgeman R, Riviello J, Chung WK, Bain J, Chiriboga CA, Gibson KM, Pearl PL/ GABA-Transaminase Deficiency, a Severe Early Onset Epileptic Encephalopathy and Movement Disorder. Neurology, submitted. Wernli C, Finochiaro S, Volken C, Andresen-Streichert H, Buettler A, Gygax D, Salomons GS, Jansen EE, Ainslie GR, Vogel KR, and Gibson KM. Targeted Screening of Succinic Semialdehyde Dehydrogenase Deficiency (SSADHD) Employing a Spectrophotometric Assay for g-Hydroxybutyric Acid (GHB) in Biofluids. JIMD Reports, submitted. Rodan LH, Gibson KM, Pearl PL (2015) Clinical use of CSF neurotransmitters. Pediatr. Neurol. 53(4): 277-286. Vogel KR, Ainslie GR, Gibson KM. mTOR inhibitors rescue premature lethality and attenuate dysregulation of GABAergic/glutamatergic transcription in murine succinate semialdehyde dehydrogenase deficiency, a disorder of GABA metabolism. J. Inherited Metab. Dis., in press. Vogel KR, Ainslie GR, Schmidt MA, WisorJP, Gibson KM. γ−vinyl-GABA (vigabatrin) ocular pathophysiology correlates to transcriptional variations in GABA and glutamate receptors and mTOR pathway function. Molecular Vision, in press. Attri SV, Singhi P, Wiwattanadittakul N, Goswami JN, Sankhyan N, Salomons SG, Roullet J-B, Parviz M, Gibson KM, Pearl PL. Concordance of Indian twins and worldwide distribution of succinic semialdehyde dehydrogenase (SSADH) deficiency. JIMD Reports, in press. Bi W, Yue B, Gao X, Yan, Zhang Y, Xue P, Harris J, Legalley TD, Gibson KM, Jia-Xiang W, Bi L (2016) Preservation of mitochondrial function using curcumin-PAK peptide conjugates mitigates acute limb ischemia/reperfusion injury. J. Med. Chem., in press. Ainslie GR, Vogel KR, Gibson KM. A preliminary pharmacokinetic evaluation and metabolite identification of the GHB receptor antagonist NCS-382 in mouse informs novel therapeutic strategies to treat GHB intoxication. Br. J. Pharmacol., in press. Vogel KR, Ainslie GR, Jansen EEW, Salomons GS, Gibson KM. mTOR inhibitors correct transcriptional biosignatures of mTOR and oxidant stress in murine succinate semialdehyde dehydrogenase deficiency (SSADHD), a disorder of GABA metabolism. Submitted for publication. Gibson KM, Jakobs C, Pearl PL. Succinic semialdehyde dehydrogenase deficiency. In: A Clinical Guide to Inherited Metabolic Diseases in Adults, Lachmann R, Hollak C, Sedel F, eds., in press. Gibson KM, Pastores GM, Pearl PL. Inborn Errors of Metabolism and the Nervous System. In: Bradley’s Neurology in Clinical Practice (NICP), 7th Edition, Pomeroy, SL, editor, Chapter 91, in progress. Pearl PL, Wiwattanadittakul N, Roullet J-B, Gibson KM. Succinic semialdehyde dehydrogenase deficiency. In: Greenamyre JT, editor-in-chief. MedLink Neurology. San Diego: MedLink Corporation. Available at www.medlink.com. Last updated: [February 18, 2016-most recent update]. Ainslie GR, Gibson KM, Vogel KR (2016) mTOR, autophagy, aminoacidopathies, and human genetic disorders. In: Molecules to Medicine with mTOR, II. mTOR in Genetic Disorders and Neurodegenerative Disease. Maiese, K, ed., chap. 9, pp. 143-166. Lapalme-Remis S, Lewis E, De Meulemeetser C, Chakraborty P, Gibson KM, Torres CH, Guberman A, Salomons GS, Jakobs C, Ali-Ridha A, Parviz M, Pearl P (2015) Natural History of Succinic Semialdehyde Dehydrdogenase Deficiency through Adulthood. Neurology, in press. Vogel KR, Ainslie GR, Jansen EEW, Salomons GS, Gibson KM (2015) Torin 1 partially corrects vigabatrin-induced mitochondrial increase in mouse. Ann. Clin. Trans. Neurol. 2(6): 699-706. Vogel KR, Ainslie GR, Phillips B, Arning E, Bottiglieri T, Shen DD, Gibson KM (2015) Physiological competition of brain phenylalanine accretion: intial pharmacokinetic analyses of aminoisobutyric and methylaminoisobutyric acids in Pahenu2-/- mice. Mol. Genet. Metab., in press. Vogel KR, Ainslie GR, Phillips B, Arning E, Bottiglieri T, Shen DD, Gibson KM (2015) Physiological competition of brain phenylalanine accretion: initial pharmacokinetic analyses of aminoisobutyric and methylaminoisobutyric acids in Pahenu2-/- mice. Molec. Genet. Metab. Rep. 3: 80-87. Rodan LH, Gibson KM, Pearl PL (2015) Clinical use of CSF neurotransmitters. Pediatr. Neurol. Jun 11. pii: S0887-8994(15)00279-9. doi: 10.1016/j.pediatrneurol.2015.04.016. [Epub ahead of print] Review. Pearl PL, Gibson KM. (2014) Gamma-Amino Butyric Acid Pathway Disorders. Chap. 10, pp. 133-147. In: Hoffmann GF, Blau N (eds.) Congenital Neurotransmitter Disorders: A Clinical Approach. Nova Science Publishers. Boston Children’s Hospital and the Department of Neurology, Harvard Medical, Epilepsy Research Seminar, Division of Epilepsy and Clinical Neurophysiology, April 16, 2015, “The GABA-mTOR-mitophagy Triad: Therapeutic Insights for Disordered GABA Metabolism and Vigabatrin-Induced Toxicity”, Host: Dr. Phillip Pearl. Department of Integrated Physiology and Neuroscience, Washington State University, Pullman, WA. “Man, Mice and Drugs: A Genetic Odyssey in a Heritable Disorder of GABA Metabolism”. Host: Dr. Steven Simasko, Nov. 13, 2015. SSADH Symposium: A Focus on a Rare Neurotransmitter Disease, March 31-April 1, 2016. Sponsored by Boston Children’s Hospital, Dept. of Neurology. “Historical Timeline of SSADH Deficiency”.